There are thousands of choices of OBD-II scanners for beginners in the market. One of these scanners is INNOVA 3020d ABS OBD2 Scan Tool. 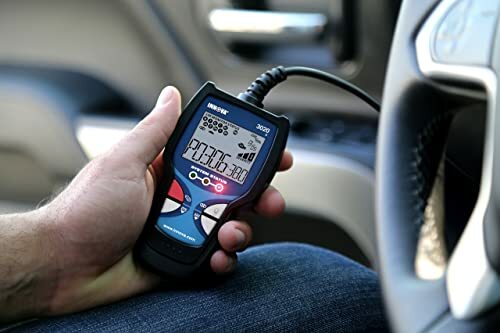 The scanner capable of read and erase “Check Engine” light warnings on any foreign or domestic 1996 and newer car, light truck, SUV or hybrid. 4 Who Is Innova 3020d Built For? The INNOVA 3020d is an OBD2 scanner which enables car users to check engine problems, road trip readiness as well as inspection of used cars. It’s a perfect entry-level tool for beginners and professionals as it has simple navigation buttons which require no experience to operate. 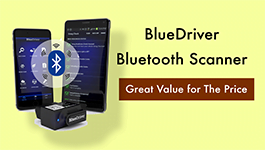 It diagnoses all vehicles supporting OBDII protocol which includes cars, SUV, minivan and light trucks. Supports live data, and freeze frame data. Cons Erasing the DTCs does not solve the problem that caused the code. Possible compatible issue. 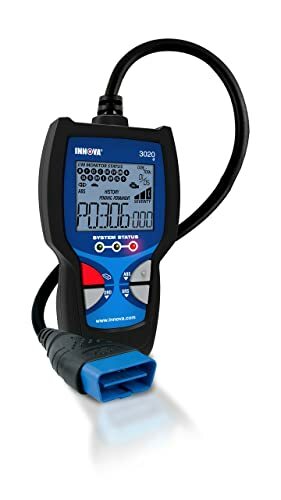 Bottom Line Innova 3020d is perfect for car owners who want to turn off the CEL and do simple tests on their cars. Innova 3150f suits DIYers and average car owners who prefer bluetooth connection. Innova 3150f suits DIYers and average car owners who prefer cable connection. Innova 3020d scan tool allows a user to retrieve code based on the DTC definition. All you have to do is to connect the cable connector to the car’s data link connector, and the vehicle icon will be displayed on the screen to confirm if the power connection is good. When you turn on the ignition, Innova 3020d will automatically connect with the vehicle’s computer. If the scanner displays a blank screen, it indicates that there is a problem with power connection at the DLC. Check and replace the fuse panel if it has been burned out. After about four seconds, Innova 3020d scan tool will display retrieved diagnostic trouble codes in case there is any in the vehicle’s computer memory. If an error is displayed on the screen, it shows that there is a problem in communication between the scanner and computer memory. Ensure the vehicle supports OBDII protocol and turn off and on the ignition key again. With Innova 3020d, reading and interpreting diagnostic trouble codes is very easy. When the Green LED has displayed, it indicates that the engine system is in good condition and running normally. The Yellow LED indicates that either pending code is present or the monitor is still running the diagnosis. In case it displays Red LED then it means there is a problem in the vehicle’s system. Innova 3020d automatically links the code reader with the vehicle’s computer memory and retrieves the code quickly. Also, it is easy to read and interpret the display functionalities. Connecting and disconnecting Innova 3020d while the ignition is on can damage the code reader and the vehicles computer memory. Ensure that you turn off the ignition before connecting or disconnecting the scanner. The Innova 3020d enables a user to view DTCs which includes the anti-braking system (ABS) when connected to a vehicle. To check the codes, press the functionality you want to check on, for instance, the ABS button. After some few seconds, the scanner will retrieve the diagnostic trouble codes and display on the screen. The DTC s are usually stored in the controller’s memory. This scanner tool will display all the codes, and if the functionality is not supported by your car, it will show an error message. Note that this scanner only displays codes found in the vehicle’s computer memory and if there is no any code “0” will be shown. If there is one or more codes, press and release the button. 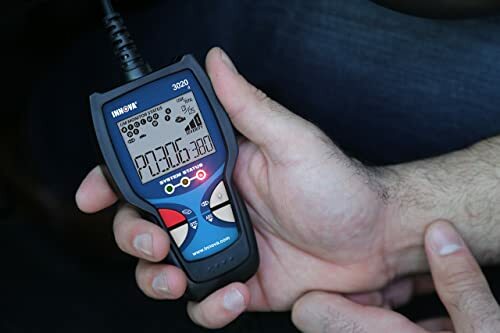 With Innova 3020d, it is easy to read the diagnostic codes; it takes about 4-5 seconds to retrieve the code from the vehicle’s computer memory. Anti-Braking system (ABS) is not by all vehicles. Only Ford, Chrysler, and GM vehicles support this function. Always check the official website to know the list of vehicles covered. Innova 3020d has erased function which enables you to clear the DTCs from your vehicles computer and freeze frame data. In case you want to take your vehicle to a repair later then don’t erase these codes. This is because the mechanic might need this information to understand the problem well. When you erase the DTCs in your vehicle, I/M readiness program will reset the entire monitor’s status to flashing condition. To set all the monitors back to normal status, perform the OBDII drive cycle. When making this operation, liaise with the manufacturer’s manual to check how OBDII test is performed. The procedure of clearing the codes is simple. Note that after erasing you can retrieve the code by pressing the erase button once again. Erasing the DTC does not solve the problem that caused the code(s). If the necessary repair is not done, the code will reappear again after some time. Innova 3020d is compatible with wide vehicle coverage. It works well with cars, light trucks, SUVs, Minivans and the hybrid vehicles manufactured from 1996 onwards. Note that to be able to perform the test, the vehicle must be OBDII compliant. Who Is Innova 3020d Built For? Innova 3020d is an entry-level diagnostic tool which comes with handy features, great display, and affordable price. It is perfect for the beginners as no skills are needed for one to perform a test. It is ideal for checking the status of the car when the engine light blinks on before hitting the road. 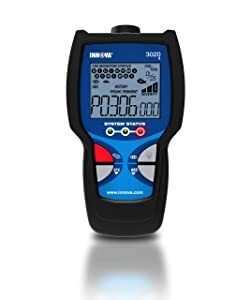 Innova 3020d is a great entry-level scan tool which will enable you to read and clear codes in a snap. It automatically refreshes the results every 30 seconds and displays them on a screen. This scan tool comes with a keypad with four buttons that enables you to simply navigate the functions including checking the engine and reading the ABS codes. how do I know what the code means? Mine is reading a P016 what does that mean. I have a meredes e350. What scan tool do you mean? Some scanners offer built-in DTC Library Lookup. If yours doesn’t, look-up trouble code definitions on the manufacturer’s websites or DTC Codes websites.